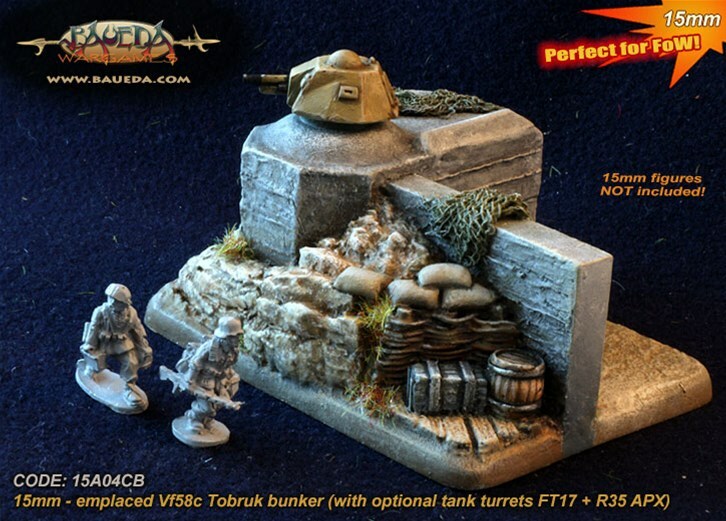 15mm Objective Vf58c Tobruk bunker emplacement (with optional tank turrets FT17 + R35 APX) This code includes a tobruk bunkers based on a Fow-size large base 50mm wide by 65mm deep (2"x 21/2") + one 32mm wide by 25mm deep (11/4"x 1"). Next to the entrance there is a covered space exactly sized for a small team base. Perfect as an objective or to be added to a larger terrain piece, board or table. Also included are two early war French tank turrets (a Renault FT17 with the 8 mm Hotchkiss machine gun and a R35 APX with the Puteaux SA 18 - 37mm gun) that were commonly used by the germans on such static fortifications, especially along the Atlantic Wall. The tobruk bunker can be fitted with any of the turrets or with a standard infantry MG (not provided). Supplied unpainted. Okay guys here it is . 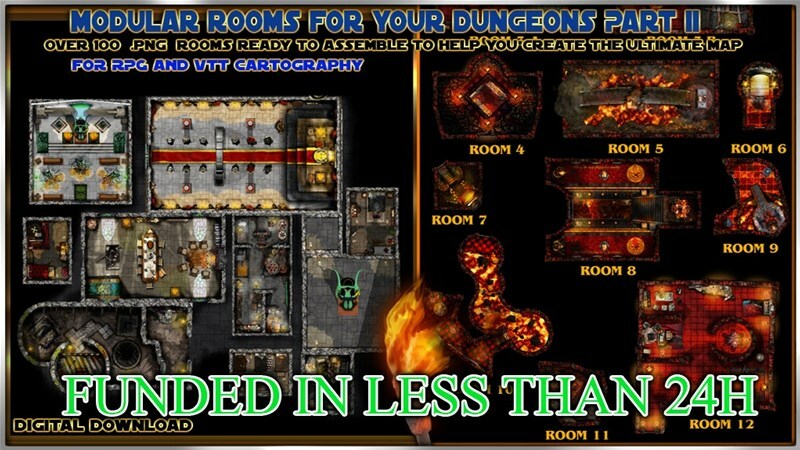 A new project including 100+ rooms to create huge and magnificent dungeons. It will also include corridors and junction to connect them together ( theses are not counted in the 100 rooms) so it adds even more to the value.